A businessman who named his two children after Turkish Islamic scholar Fethullah Gülen was arrested in Balıkesir province on Monday as part of an ongoing witch-hunt targeting the Gülen movement. Media reports said the businessman, referred only by his initials as E.O., who is also a member of the municipal council of the Gönen district from Justice and Development Party (AKP) ranks, was arrested by a court in Bandırma with three other businessman over their alleged links to the Gülen movement. Another businessman who was earlier detained was released on probation on Monday. Media reports said E.O. had two sons: One is named Fethullah while the other is named Gülen. Turkey survived a military coup attempt on July 15 that killed over 240 people and wounded more than a thousand others. Immediately after the putsch, the AKP government along with President Recep Tayyip Erdoğan pinned the blame on the Gülen movement. 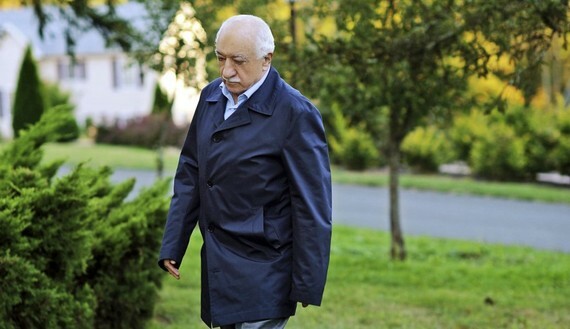 Despite Gülen and the movement having denied the accusation, Erdoğan — calling the coup attempt “a gift from God” — and the government launched a widespread purge aimed at cleansing sympathizers of the movement from within state institutions, dehumanizing its popular figures and putting them in custody. Thousands of people have been purged from state bodies, over 41,000 detained and more than 22,000 arrested since the coup attempt. Arrestees included journalists, judges, prosecutors, police and military officers, academics, businessmen, governors and even a comedian. Hundreds of businessman’s assets have been seized by Turkish authorities since the coup attempt. Some TL 12 billion (about $4 billion) in property has been transferred to the Treasury as part of an investigation into the Gülen movement, said Minister for Environment and Urbanization Mehmet Özhaseki on Sept. 1. In a move that carried the witch-hunt against Gülen to a new height, Turkish authorities last month decided to recall all license plates that include Gülen’s initials, FG.